and helps to prevent premature aging of skin. The skin is restored, and protected from photoaging: spots, fine lines, dehydration. Apply generously to the areas exposed to the sun at least 10 minutes before sun exposure. Repeat the application frequently and always reapply after exposure to water. 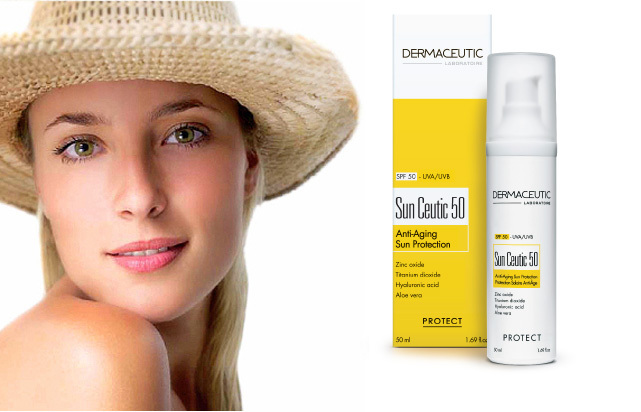 Powerful UVA/UVB filters with SPF 50 protect the skin. The dispersed micro-mineral filters allow the cream to be completely transparent, while maintaining efficacy. 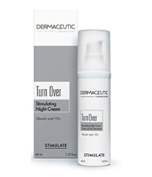 This unique formula also contains a powerful stem cell stimulator (EGF stimulator) and repairing active ingredients (hyaluronic acid and aloe vera). These mineral filters form a stable physical barrier against UVB and UVA rays. Creates suppleness and firmness, and moisturizes the skin. A genuine molecular “sponge,” hyaluronic acid has the power to retain up to four-hundred times its weight in water. 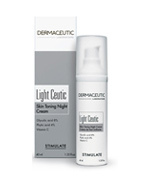 Soothes the skin, reduces inflammation, and stimulates the production of collagen to combat skin aging.